Buttermere - scenic town and lake in the north-west Lake District. Buttermere is a beautiful lake in the north-west of the Lake District. The name means Buttermere means "the lake by the dairy pastures” and this scenic place is now owned by the National Trust, and Wonderful countryside for walking, picnics and family days out. The village is more of a small hamlet, with farms, a church and the Buttermere YHA. The area around Buttermere provides a good range of camping and caravan sites as well as a great selection of attractions and things to do. 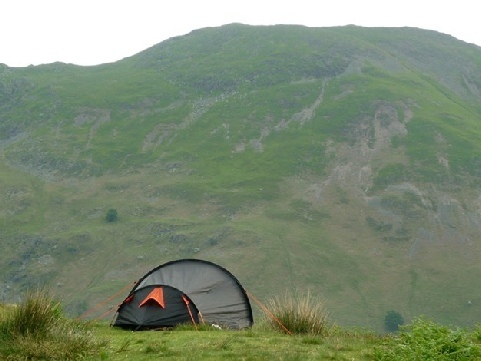 Check out the key information on the right and then explore the Buttermere camping and caravanning sites listed below. In addition to the beauty of the Lake itself, there are also a number of attractions around Buttermere, including a lakeside walk, and the fells, especially Pillar, High Stile and Red Pike to the west, Grasmoor to the north, and Robinson and Dale Head to the east. There is also the Honister Slate Mine.